[REVIEW] Can the way you fold shirts truly spark joy? At my very best, my washing is folded and put away on the same day I bring it in off the line. At my worst, I give up all hope and embrace the “floor-drobe” as a perfectly reasonable garment storage solution. I am someone who struggles with stuff: managing it, cleaning it and keeping it orderly. So when someone like Marie Kondo comes along, promising a new method of cleaning that eliminates mess and clutter entirely, I’m all ears. In case you’ve missed it, Marie Kondo is a tiny Japanese woman excited by mess, sparking joy in the hearts of people around the world with her unique approach to tidying up. Her 2011 book The Life-changing Magic of Tidying Up has not only birthed a worldwide cleaning frenzy, but also a Netflix series where Kondo helps several families tidy up their homes and lives. The pertinent question: Does this spark joy? Kondo’s question of joy is so important because it gets to the heart of the issue of our relationship with our possessions. It points out something we all knew deep down: the things we own are not making us happy. This is a hard truth because, as a society, we have relied on stuff to fulfill us. Materialism and consumerism isn’t satisfying anyone. Marketers have worked very hard to encourage us to turn to gadgets, garments and gimmicks to solve our problems, but here comes Marie Kondo asking the obvious question – do these things really make you happy? All of a sudden, people are realising the answer is “No”. This materialism has left us dissatisfied, just as God warned it would. (One example: “The sleep of a labourer is sweet, whether they eat little or much, but as for the rich, their abundance permits them no sleep” Ecclesiastes 5:12). We know that materialism, or the pursuit of stuff, can’t fill the longing for more that we all have. All that we have on Earth is temporary and subject to rust and decay, unlike the treasures stored up in heaven for us in Christ. 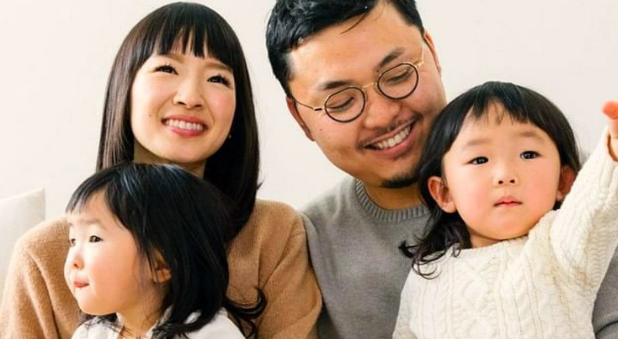 Marie Kondo’s message fits into the wider minimalist movement, where documentaries, blogs, podcasts and YouTube channels tell of lives that are enriched by rejecting consumerism, by clearing physical possessions and choosing experiences over things. The movement preaches the gospel of “less is more” as an antidote to the failure of materialism. And, like the best false theologies, it gets some things right. Materialism has not filled the void it promised it would, but Marie Kondo and a drawer of neatly folded shirts can’t fill that void either. Stuff – whether it’s having more or living with less – cannot bring us lasting joy. Only Jesus does that.